On September 4, 2014, ARE YOU SAFE? held it’s annual Purple Party at The Tampa Club, in Downtown Tampa. 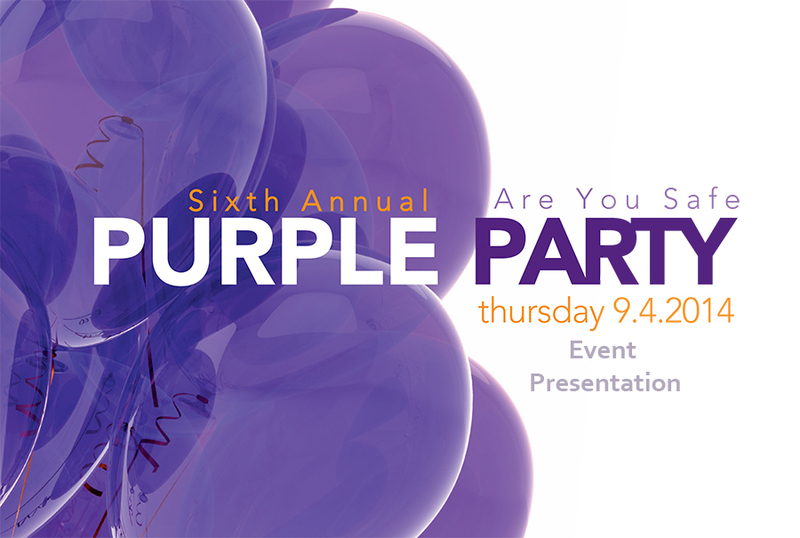 The Purple Party is designed to help raise awareness in Domestic Violence, honor our volunteers, sponsors and donors, as well as to help raise funds for continued efforts in Advocating, Educating and Empowering Domestic Violence Victims. 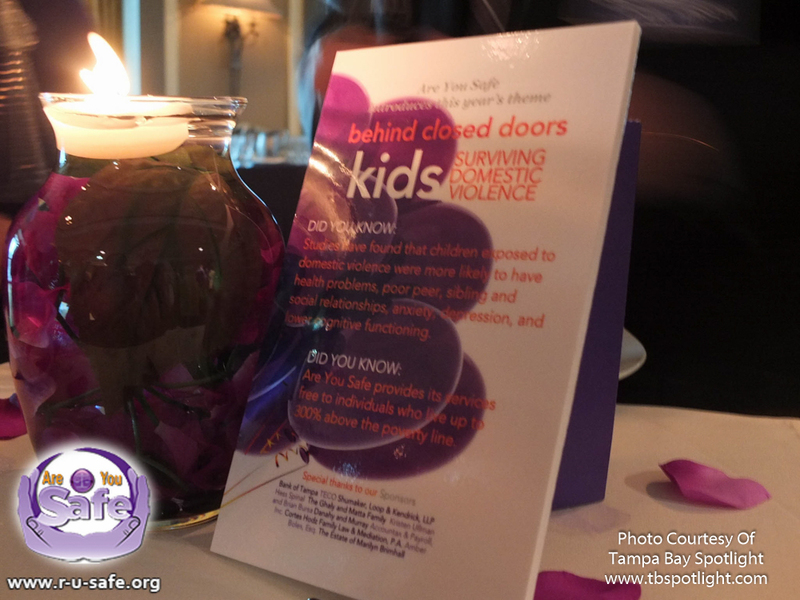 This year’s focus is on “Children Of Domestic Violence” and the lasting effect Domestic Violence abuse has on children. If we focus on getting children of domestic violence help, especially early in their development, we take important steps in making a positive change for future generations. Watch the ARE YOU SAFE? event presentation below. “It’s Time To Take A Stand!” against domestic violence. We thank everyone for attending and all the support in the efforts of the cause.